Our dedication to innovative design is matched by our commitment to producing state-of-the-art, accurate construction documents and implementation of these documents in the field. 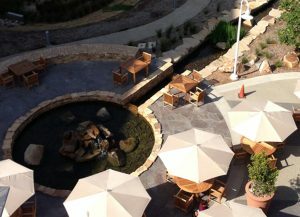 Neri Landscape Architecture (NLA), a California Corporation, is a San Diego-based design firm founded in 1997 to create landscapes of lasting beauty and purpose. Every project is approached individually, balancing the importance of place, use and resources to fit unique landscape solutions to the site, program and budget. Diversity of project experience gives NLA a creative edge over other more specialized landscape architecture firms since our broad knowledge of the profession allows us to provide our clients with a wider range of possibilities. Our offices, located in the coastal community of Pacific Beach provide us with a beautiful environment in which to work and meet with our clients. Our commitment to San Diego’s outdoor environment is evidenced by our continuing involvement in our community. Jim Neri has served as a volunteer to lead local community workshops for improvements to Windansea Beach and has served the greater community as a volunteer with the San Diego Community Forest Advisory Board, the San Diego Public Art Committee and the Bird Rock Traffic Calming Task Force. Our workforce is highly skilled and creative. Jim Neri, an award-winning, licensed landscape architect with over 25 years of experience in landscape architecture oversees the design of every project managed by him and licensed landscape architect Jennifer Stahlhammer who oversees production. Wendy Neri manages accounts and operations.